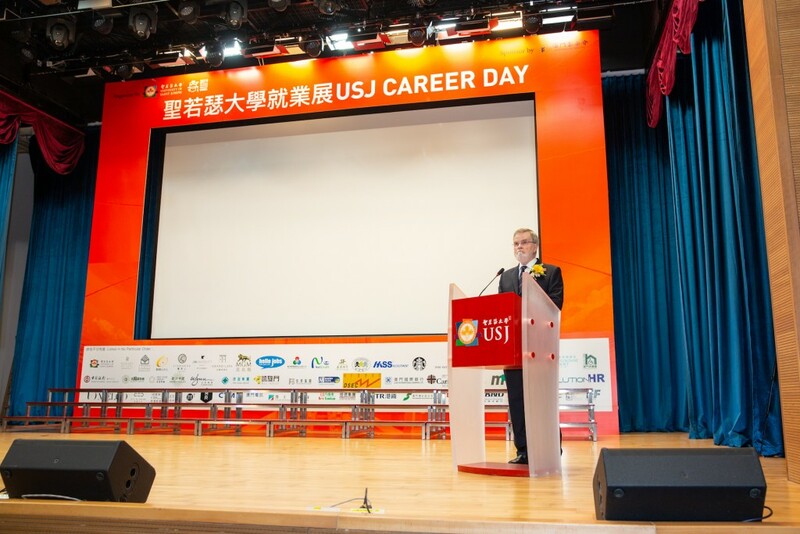 The University of Saint Joseph (USJ) held its annual “USJ Career Day 2019” on April 11th 2019 (Thursday) at USJ’s Ilha Verde Campus. Around 50 companies and organisations from public and private sectors joined the event and exhibited. This year, in alignment with the role of Macao in the Framework Agreement on Deepening Guangdong-Hong Kong-Macao Cooperation in the Development of the Greater Bay Area, Mr. Tai Kin Ip, Director of Macao Economic Bureau, was invited to be the keynote speaker, presenting the topic “Guangdong-Hong Kong-Macao Greater Bay Area and Macao’s Economic Diversification” with the hope that university students are able to seize opportunities in the further development of the Greater Bay Area. In addition, a Hengin InnoValley representative was invited to introduce the Policies and Incubator Services in Hengqin to prepare our students for the starting up of their own businesses. Besides focusing on the Greater Bay Area, talks on local opportunities and career advice were provided. The Career Day is a significant institutional event that brings to USJ representatives from the Government and different organisations, helping our students deepen their understanding of the working world. Exhibitors included, among others, government departments, public corporations, large enterprises and international brands. 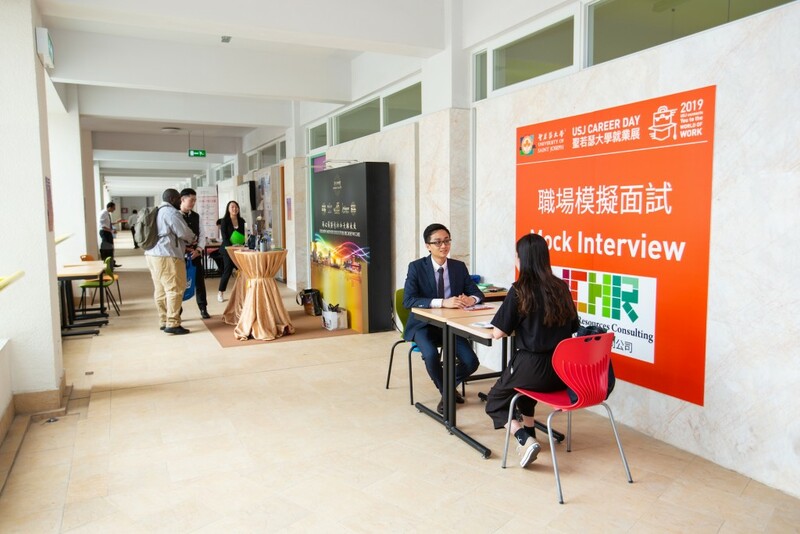 A wide array of positions, for junior staff, middle and top management, were offered in varied industries, like education, gaming, hotels, insurance, banking, communications, telecommunications and information technology, human resources, social services, and entertainment production.